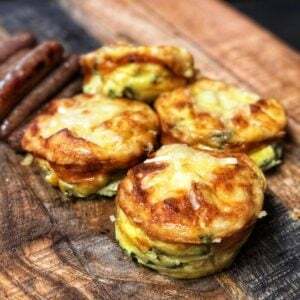 Mini Crustless Quiche…a version of my Asparagus Gruyere Quiche. Ingredients are almost the same…just the technique is a little different. 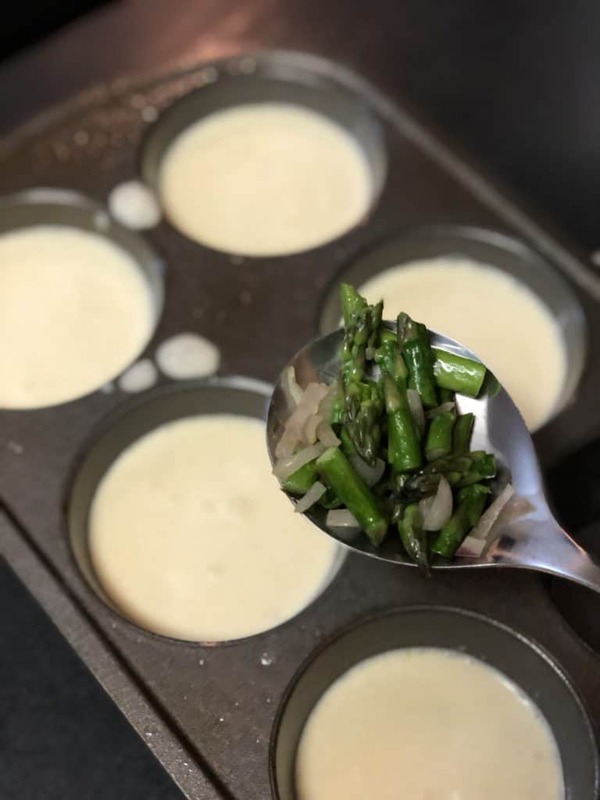 As long as you stick to the custard recipe…you can make these using your favorite ingredients or veggies/meat you just want to use up in your fridge. They can be made for the week or even frozen for a quick heat up in the microwave. 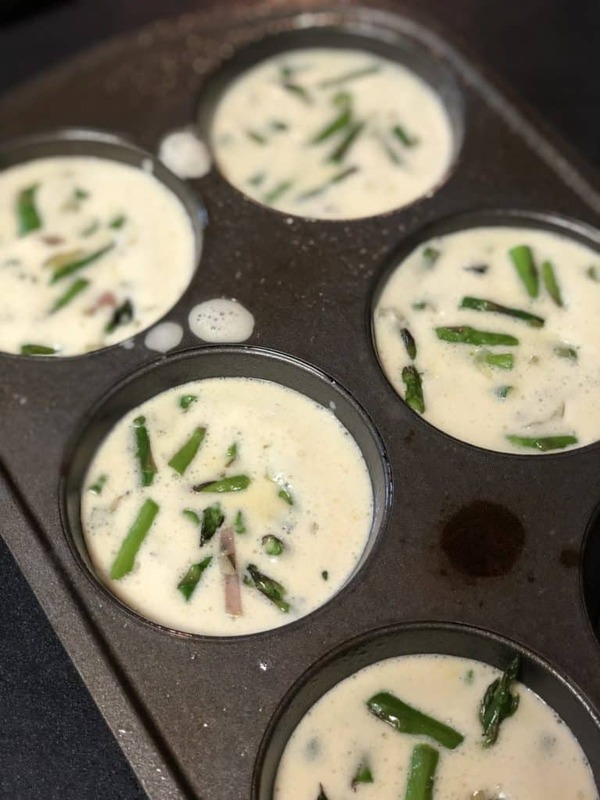 This is also a perfect recipe addition for your Keto diet! Preheat oven to 350 degrees. 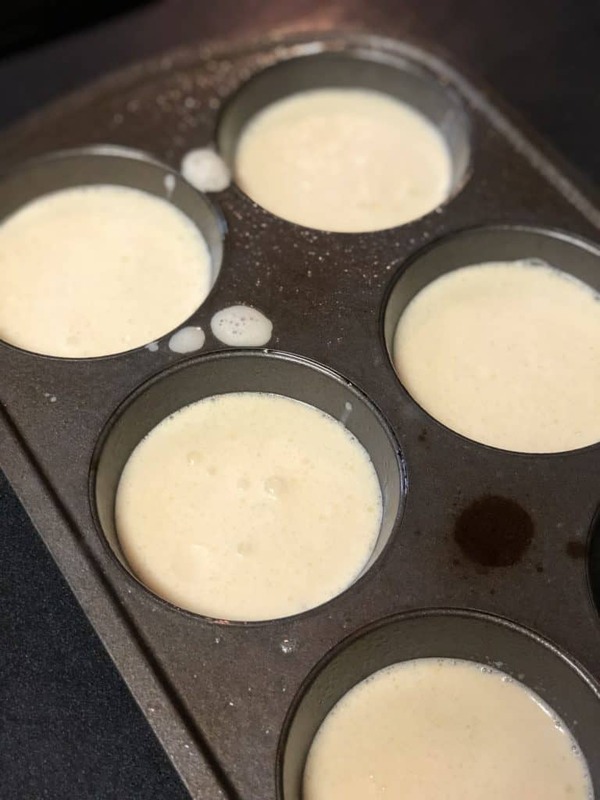 Prepare a muffin tin by spraying it with non-stick cooking spray. Heat up the olive oil in a pan. 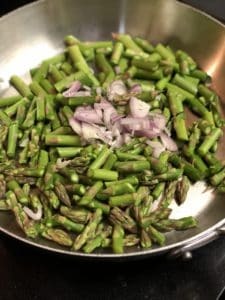 Add the asparagus and shallots. Season with a touch of Kosher salt. Cook to just soften….about five to six minutes. 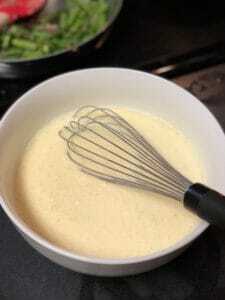 In a bowl, whisk the eggs, heavy whipping cream and black pepper. 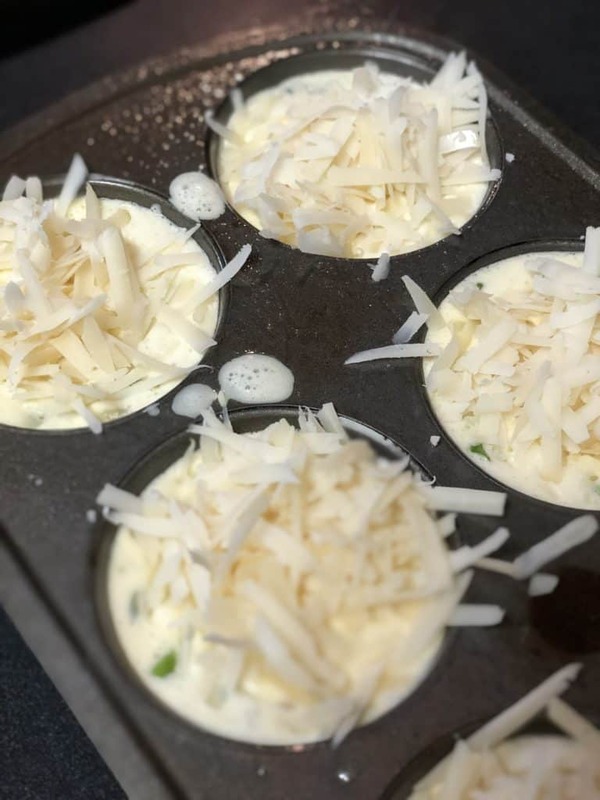 Pour the egg mixture into the muffin tins. Fill just over 3/4 of the way to the top. Add in a few spoons of the asparagus/shallot mixture. Top with the Gruyere cheese. Bake for about 15 minutes or so. Test with a knife in the center…if it comes out clean…they are finished. I did add a little more cheese at the end and turned on the broiler to brown. 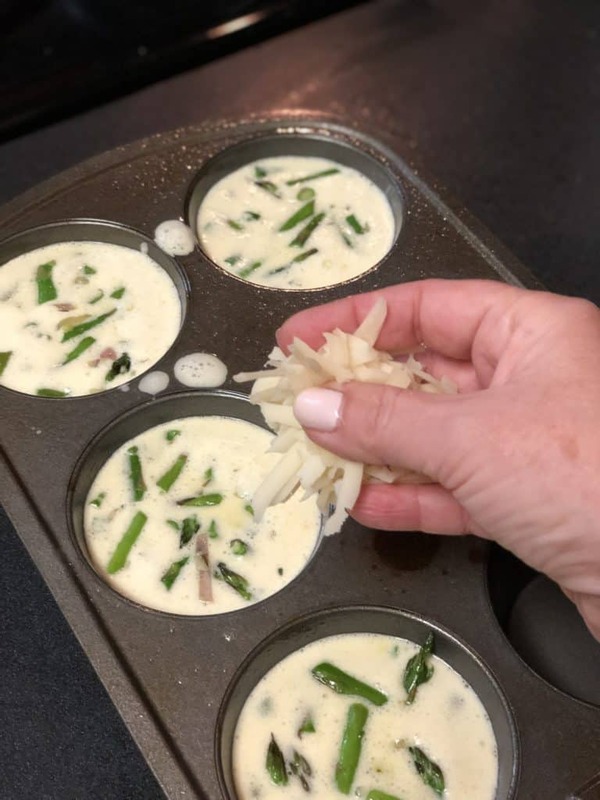 After you remove from the oven, allow to sit in the muffin tin for a few minutes to settle. If you pop them out too soon, they may collapse. Haha….can you tell which one I took out too soon?? ENJOY!